Below you’ll find several user guides designed to take you through some of the processes needed to use APPA, such as creating organisations and teachers. If you’re planning to print the user guides then each one also has a print-friendly version available. If you have any queries or problems that are not detailed in these guides, please contact us. 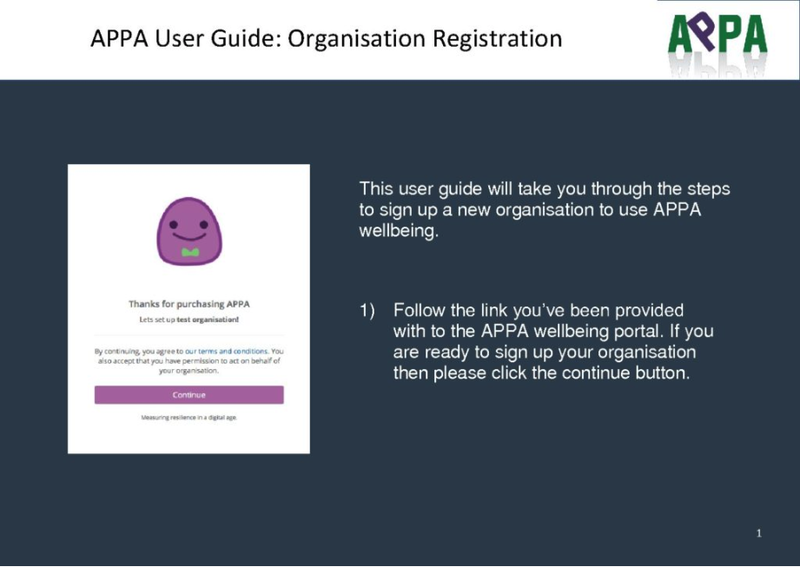 This APPA user guide will take you through the steps to register a new organisation to use APPA wellbeing. To begin this process you must have a link provided to you for the registration page, and basic information about your organisation, such as address and contact information. 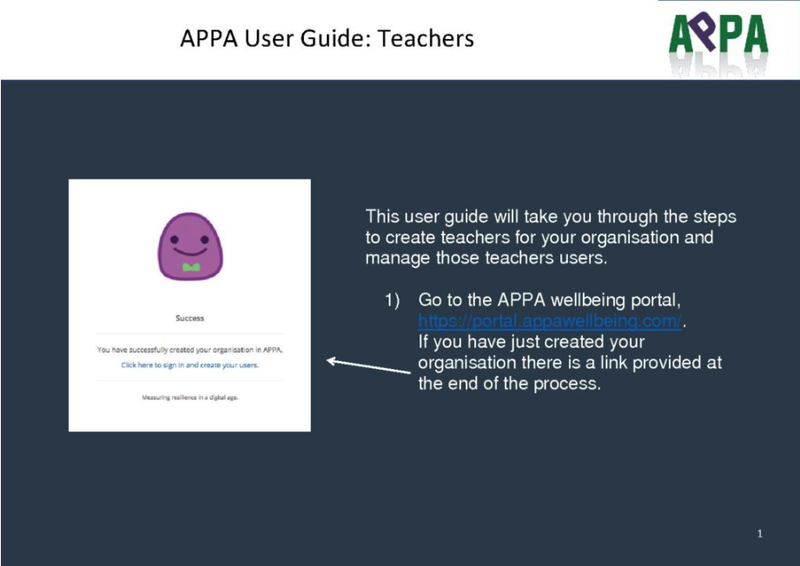 This APPA user guide will take you through the steps to create a new teacher for your organisation. Before starting this process you’ll need to have already created an organisation and admin account, as well as having a valid email address for the teacher you’d like to create. 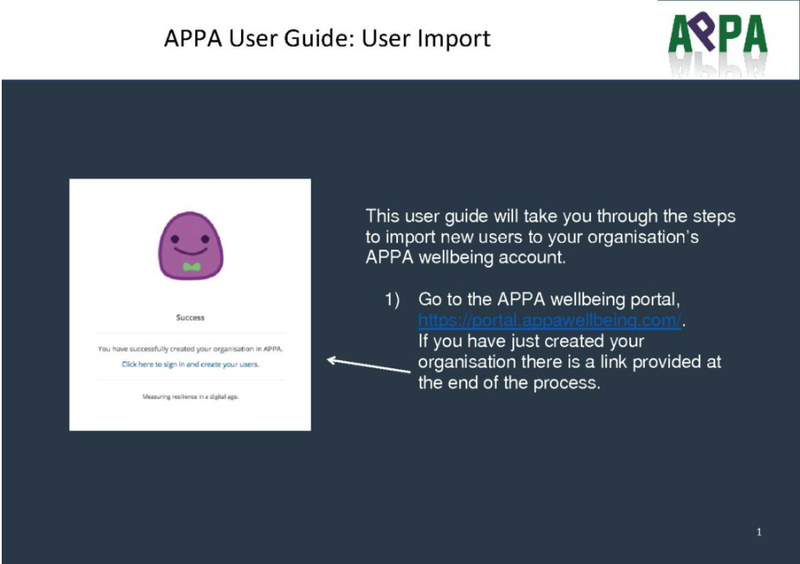 This APPA user guide will take you through the steps to import new users into the APPA wellbeing system. Before beginning this process you should make sure you have all the relevant information to create users, e.g. names and email addresses or phone numbers. 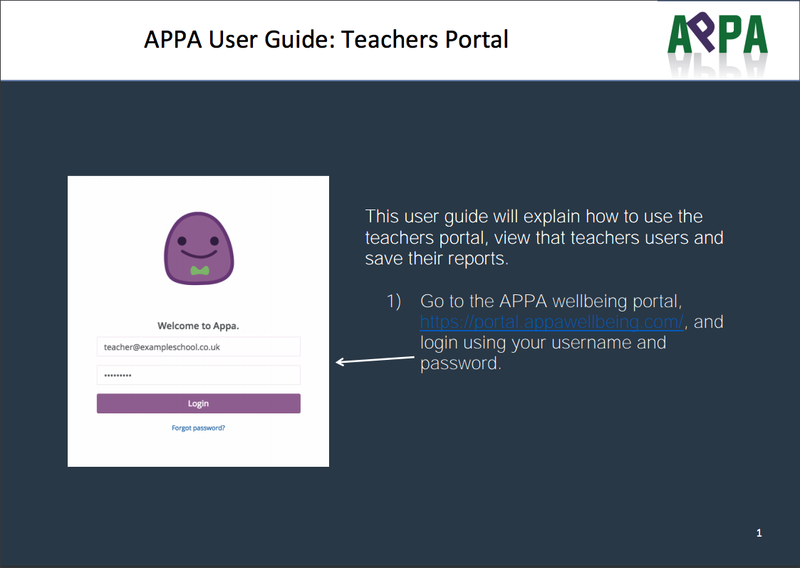 This APPA user guide will guide you through the different uses for the teachers portal, such as viewing users and their reports. 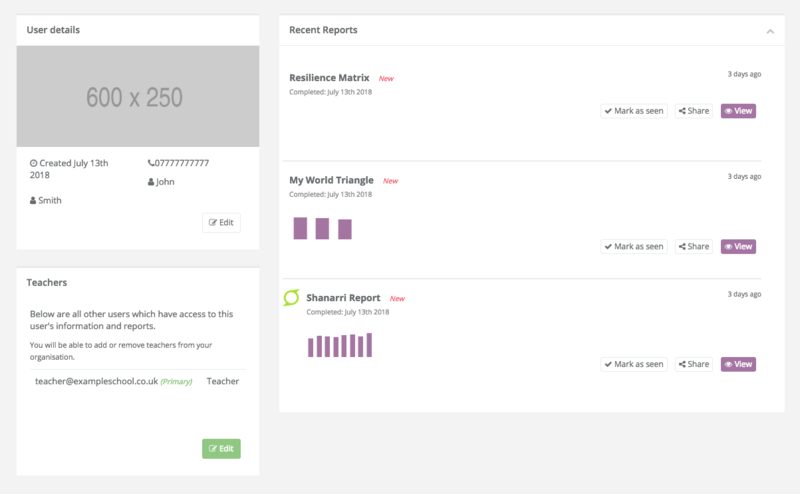 To use the teachers portal you will first need to have created a teacher from the admin account. 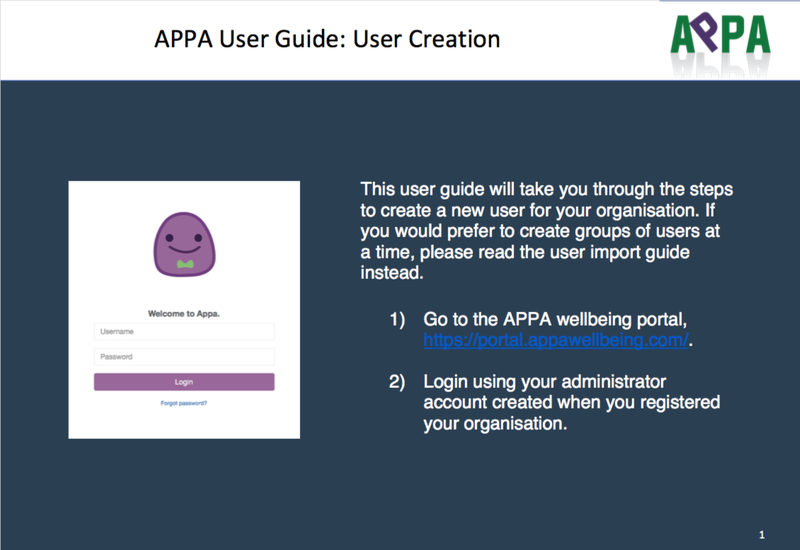 This APPA user guide will take you through the steps to create new users in the APPA wellbeing system. Before beginning this process you should make sure you have all the relevant information for each user, such as their first name and email.